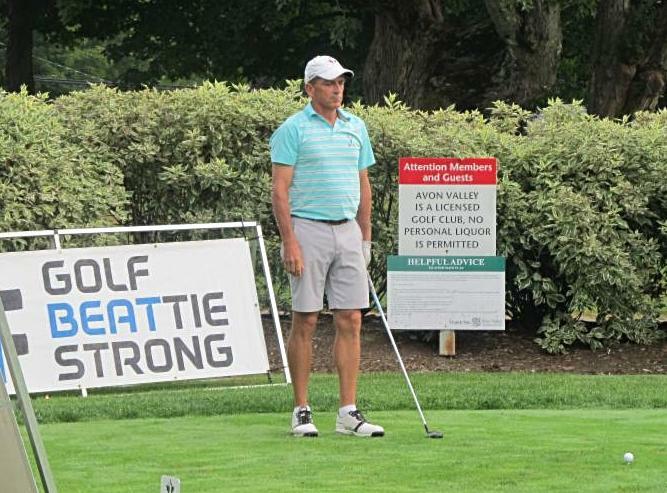 It was overcast and humid during the first round of the #GolfBeattieStrong Men’s Senior Championship at the Avon Valley Golf and Country Club. Three competitors finished with an even par 71 during todays opening round. Ed Peveril from Ken-Wo finished even par after recording five birdies including three in a row on holes seven, eight, and nine. Jim MacMaster (NSSPC) also had five birdies after carding a two over par 38 on the front and a two under par 33 on the back. Terry Clarke from the Links at Penn Hills had four birdies and finished the front with a one over par 37 and one under par 34 on the back. Currently in second, and one shot behind the leaders, is Gary Smith of the Paragon Golf and Country Club. Rounding out the top three is Avon Valley Dean Woodman, who fired a two-over 73. 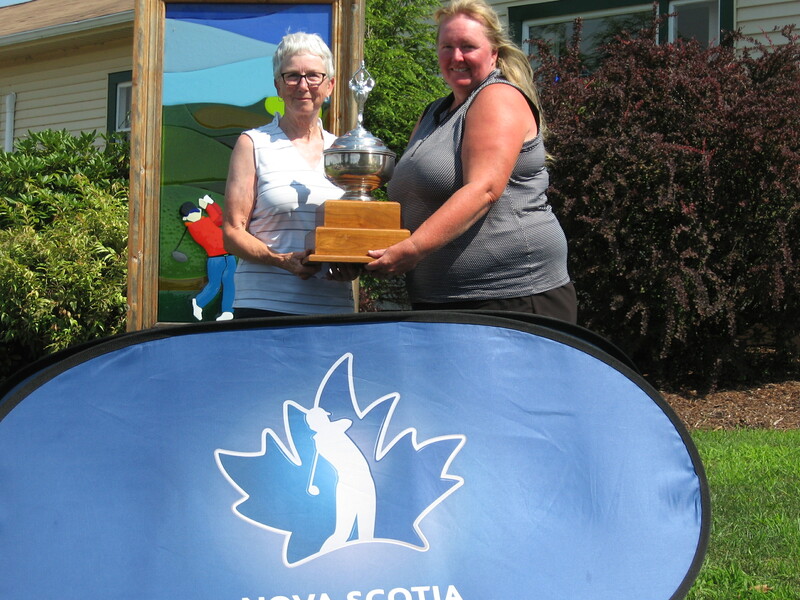 Defending Champion Steven Locke (Truro) is T11 after posting a 5-over 76.
sponsored the $10,000 hole in one prize on the 15th hole. Sadly the prize went unclaimed. 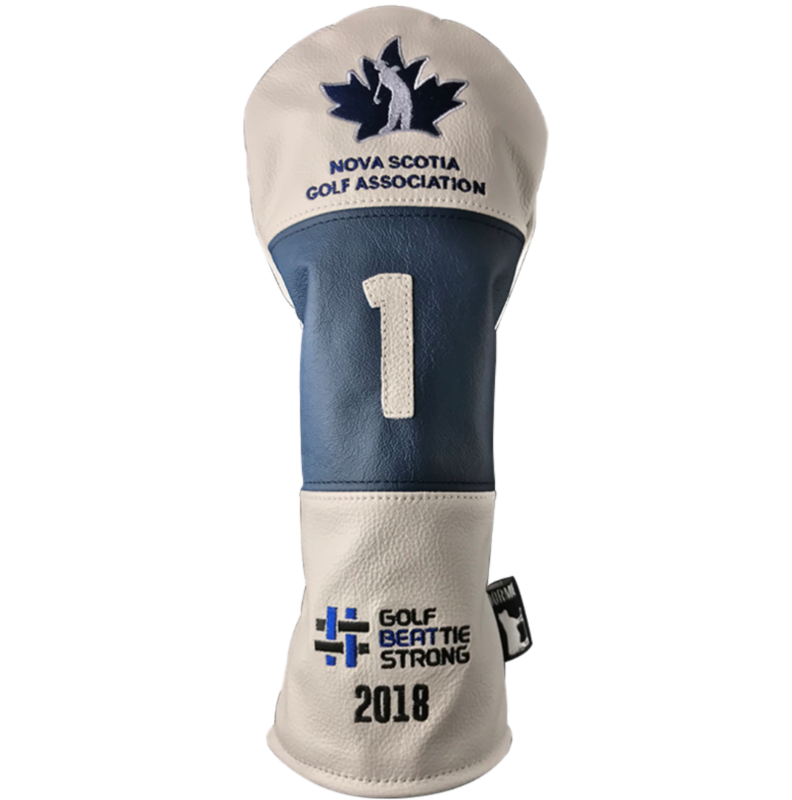 These unique head covers are available for purchase from Dormie Workshop with 50% of the sale of each head cover going towards Brain Cancer Research at the QEII. The head covers are also available for fairway woods and hybirds. 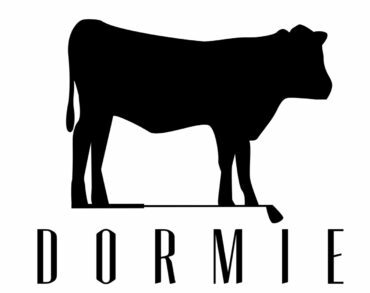 To view and purchase your head cover please CLICK HERE and then search “Beattie” on the Dormie website. The search feature is located in the top left hand section of the website.